Welcome to NATIONAL PARKS WORLDWIDE with the national parks, nature reserves and other protected areas of all countries of the world. National parks are the prime locations of wild and untamed nature; in many countries they are the most exiting places to visit, if you can find them. This website is your first help for getting to the national parks of Paraguay. In many developing countries, the protected areas are still difficult to get to. That is the reason why local travel agencies are often reluctant to take you there, while others have their own agenda, favoring a lodge in a private reserve with insignificant forest or nature. And yet, with the proper knowledge, transportation and gear, visiting national parks is usually relatively affordable, provided that you don't expect 5 star accommodations. 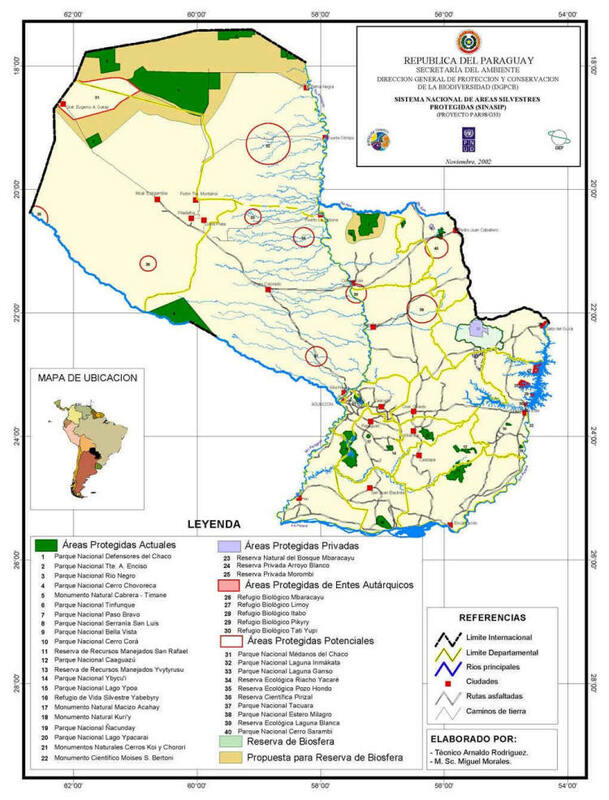 On this pages you find a list of Paraguay's protected areas. Criteria for the selection of National Parks of Paraguay include natural beauty, unique geological features, unusual ecosystems, and recreational opportunities. Enjoy planning your vacation in Paraguay. Thank you for visiting Nature Worldwide on Paraguay. National parks, Nature reserves and Protected areas of Paraguay provides you with list of all the national parks and other protected areas of Paraguay. In this linked net of country pages you can find lists of birds, nature, mammals and national parks. National Parks of Paraguay provides a list of all the the national parks, nature reserves and other protected areas of Paraguay. 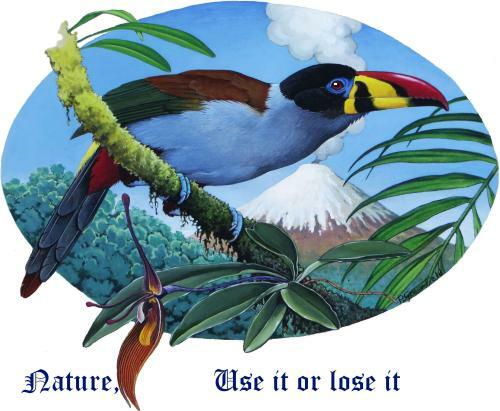 In Nature of Paraguay you can find links to nature related websites, like on birding, birdwatching, general ornithology, nature, nature conservation, national parks, protected areas, nature reserves, etc. Birds of Paraguay provides a checklist of the birds of Paraguay. It is a complete birdlist or bird list listing all the birds of Paraguay in ornithological taxonomic order, and on Mammals of Paraguay you can find the list of the mammals in taxonomic order. Click on the following links for our web pages on Paraguay.